Smacksy Saturday Photo: Daisy - . 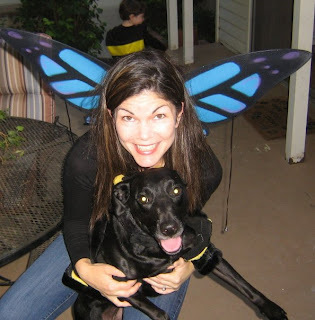 Circa 2009: The year we all dressed as insects for Halloween. Because we're cool. I think you're really cool. I hope sweet Daisy is feeling much better! How is Daisy doing? We're all rooting for her! That is a great idea! I love when Halloween costumes are done in a theme. Great idea! I hope Daisy is doing better.